By last April Ryan started receiving coaching from NNB and got back on track. 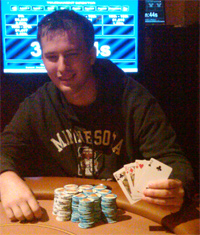 In May 2010, Ryan had another great poker month where he took 3rd in a $22 for like 4k and finally popped my win cherry by winning the late 3r for like 6200. Like many others, James first started playing poker during the Moneymaker boom. He played $5 SNGs with his brother, Andrew, and his friends. “I am the furthest thing from a natural and lost very quickly in all of my initial attempts,” said James. AJ started playing poker in high school. His friend had some money online and transferred him $5 to get him started. A few weeks later and he cashed out for $200 and never looked back. During his freshman year of college AJ won tournaments back to back for $4500 and $5500 respectively. This is when he started taking poker seriously. Shortly after AJ final tabled a $320 tournament on stars for $21k. Unfortunately AJ eventually went through his money and after going nearly broke he got involved in FCP through his original friend that transferred him $5 years earlier, Rickyg033. He posted a little bit in the forum and was eventually offered backing deals from a couple of FCPers who helped get him back on his feet. AJ has had plenty of online tournament success including $27k ($320 6max), $41k (WCOOP), $87k (Sunday 100r), and chopping the Sunday Warmup for $137k. He’s also final tabled a live $1500 2 day event at Turning Stone taking 8th for $7500. AJ is strictly a tournament player, playing regularly $100r to $500 buy-in events mixing in some SNGs along the way. Fargo made his initial online deposits back in spring of 2005 and ran hot playing the 2/4 limit games before moving up to 5/10. He moved his money to PokerStars and learned bankroll management where he never played tournaments over $10 and stuck to 5/10 limit. “Eventually I discovered my niche playing PLO cash and tourneys and had quite a bit of success in those games, building up a respectable bankroll for a low limit grinder. At the end of 2008, I decided I wanted to take poker seriously so I got a Cardrunners account, and put aside $1k to start out at 25nl. I stuck to strict bankroll management and worked hard at the game.” Here is his graph in cash games from Jan-Aug 2009. During that time, he hardly focused on MTTs, but in September, he played an $11 rebuy MTT, taking 3rd for $24.8k. That left him craving more. In June that year, he also went to Las Vegas where he played in 2 Venetian events and met some FCPers such as Mr Sparco, Highway, Jeff for the first time. His desire for tourneys went away in early 2010 as he played a lot of 100nl/200nl online but the games were getting tougher to beat so he reverted back to his MTT ways. In the future he hopes to find himself playing a higher volume of tourneys over the next year and continue to make strides towards becoming a better player, not just in MTTs but in all aspects of poker. While moving from country to country for work, Marcel landed in Sweden just after the Moneymaker boom had started. He had always had an interest in cards and while waiting for a flight after a conference in Toronto, he had the chance to learn the game he’d been watching on TV from fellow colleagues. When he got back to Europe he made his first $50 deposit on Pokerstars and his online career had begun. He started by playing in the smallest buyins and had to redeposit a few times. During the last few months of his position in Sweden he joined a weekly live tournament at the math department. It was a small $5 single table tournament, which proved to be more of a social gathering than a serious game but it allowed him to get use to a live environment. Shortly after he moved to Paris and the poker boom seemed to have not hit France yet. Marcel decided to invest $50/month to his online bankroll and start learning the game. He read books on tournament play and discovered Daniel Negreanu’s blog and the FCP forums. While he didn’t join FCP until 2007, he regularly read the strat forums and began to apply his mathematics knowledge to the game. His bankroll grew and he never has been busto since. After a breakeven summer of poker, Marcel took down a 60 euro freezeout, a 50 euro rebuy and came third in a 200 euro freezeout. His live bankroll skyrocketed to about 10k. Over the next couple of years, Marcel’s online success also improved as he took down a $20K guaranteed event for $9.8k. Skip ahead to 2010 and Mr. Vonk found himself back in Las Vegas playing at the World Series of Poker. Only this time he had much more experience and confidence going in. He registered for a $1000 NL Hold’em event and found himself at the final table on Day 4. 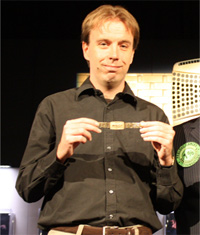 He became the chipleader after eliminating both Mehul Chaudhari in 7th and Matthew Lupton in 6th when his QQ held up. He busted Nathan Jessen in 4th place and eventually went heads up with David Peters. After a short up and down battle, Vonk took a demanding chiplead when his KK took down JJ and a couple of hands later he went on to eliminate Peters and win his first World Series of Poker Bracelet and $570,960 prize! Marcel continues to play more $100 online tournaments, have added $162/163 tournaments to his schedule, and play the Sunday Million most weeks. Most of his continued success can be followed through the FCP forum in his own thread here. Like many others, CaneBrain started playing poker during the Rounders/Moneymaker boom. At that time he was in college in Philadelphia and when he turned 21 he started going to Atlantic City with friends at least once a week. He learned the game by playing 3/6 limit at the Borgata. Around this time (2004), he made his first online deposit and proceeded to turn $300 into $3000 by mostly playing .25/.50 NL. 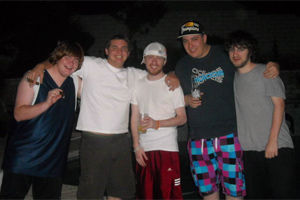 When CaneBrain graduated from college, he won a daily Borgata tournament for $7500. It was around this time when he also received a check in error from an online poker site for roughly the same amount. This gave him a real boost to his bankroll. He decided to move to Manhattan and took a job as a paralegal. CaneBrain has had some solid success at the online tables, including a 2nd place finish in a FTP $109 tournament for $5800, a 2nd place in the $15 Super Turbo for $4990 and a 3rd place in a Mini Series of Poker (Omaha 8) for $3100. He’s also played in two WSOP $1500 NLE events and cashed in both. His poker growth was really stunted from 2007-2009 when he went to law school and got married. However, this year CaneBrain has really started to work on his game again and looks to accomplish a lot more in the near future. qyayqi got his start playing poker in about 2004 through a friend at work. it was all play money at first. after coming up with some bad poker t-shirt designs, he read that the best way to market this sort of thing was to join a forum/site that they would cater to and soft-sell them. he did some research, and settled on fcp. he made an account, set up his sig, and posted sporadically while waiting for the money to roll in. it turned out he was a lousy salesman and t-shirt designer, but a bit better poster. after running up a million or so play chips on the pokerstars test site, he thought he was wizzbang and made a small deposit. after he thought he had re-tooled sufficiently, he made another small deposit. about this time he was also hammering out freerolls on absolute, eventually building up enough money ($7) to play a real tourney w/ a $5 buyin. there were about 100 entrants, and he took 1st. he would run this up to about $700 before switching to pokerstars fulltime in spite of the easier absolute money. sometimes people be crazy! november 2006 saw qyayqi registered in a $1000 event at his local casino. he had talked a good game to someone with more money than brains and been staked in. after grinding out 4 hours, he clashed with the table chip leader, taking his AK all in preflop against AQ. and losing. after he realized he was maybe mediocre at poker, he deposited some more. in june 2007 he ft’d an omaha mtt and took 3rd for $276 (all it took was playing a game he knew little about to bust loose on stars). in december 2007 he final tabled a 5.50mtt/1200-ish runners and took 4th for about $350. he had a pstars bankroll! in 2008-ish he started grinding $5/9p sng’s for a little while and was a small winner. at about this time, doinsublime suggested that the 45p turbos were an untapped goldmine. he started playing these and proceeded to have a profitable 2008. however, he was also working 7 days a week to get some goverment monkeys off his back. this eventually resulted in him not playing for most of 2009.
in june 2009 he paid off the goverment. (let this be a lesson, folks: don’t shrug off goverment debt, they apparently don’t just forget about it and let it slide.) he has continued to work 7 days a week, but has worked poker back in to his life. his plan is to work his way up the 45turbos on stars and have a bankroll large enough to get him to the 2011 world series of poker, plus playing another $500 or $1000 event locally at the big quarterly tournaments. 1) thestein, for stakes to some $27.50’s somewhere in there where he eventually took 23rd in one and received another stake to the sunday million… where he blew out before the money. 2) doinsublime, for suggesting the 45’s and also getting him a pass to the irc chat room that eventually became #feralcowpoker on irc.gamesurge.net. 4) cappy37, highwaystar, staniv, antistuff, slapstick, lurbz, and a boatload of others who have dropped by the irc channel to make his nights at work just a little bit shorter and more enjoyable. 5) tealsea, for listening to him rant about one suckout or another almost every morning at home. 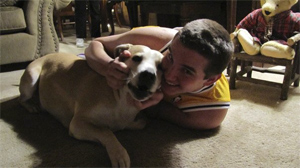 Skyler has been a gambler most of his life. He started going to the horse track with his grandma when he was just 13 years old. In high school he was the bookie, he would roll dice and would take any action he could get. For a quick recap on that tournament, click here. 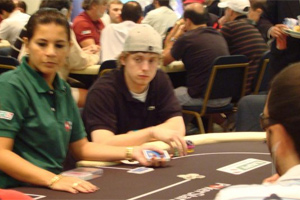 In 2008, Skyler was working a full time job but still trying to get in as much poker as possible. 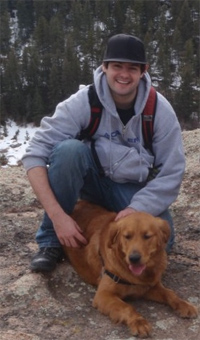 He found success bringing in several 4 figure scores. Unfortunately the company he was working for was closing due to the economy so he needed to pull the money off for expenses. Influenced by the poker boom & various World Series of Poker episodes, Tehtoe started playing poker in the summer of 2007. He started out with freerolls to try to build up some sort of bankroll on Stars and FTP. Though he never had any success doing this, it introduced him to grinding online. In August of 2007, like many others Tehtoe joined FCP because he was a big fan of Daniel Negreanu. However, the thing that got him hooked was the community. He began talking to quite a few members on AIM, which really began to immerse him in the game and inspire him to get better. After getting a stake into a 4.40, Tehtoe managed to bink 2nd place and add $108 to his bankroll. He began playing micro-low stakes MTTs with this. “It was also around this time that I began talking to the group that was 100% the most instrumental in my poker development: HighwayStar, Fargo, kobe2odom, ko8e34, and Poker_Addict. We would sit around in AIM chats all day playing and railing each other, sharing beats, discussing strat, etc. as we all tried to grind up the limits,” said Tehtoe. Fast forward to October of 2008, where Tehtoe was selected by looshle to be backed in MTTs. He started out at $26 MTTs and during this time made great leaps in his game that began to show rather quickly. “In January 2009 I final tabled about 8 tournaments and began moving up in limits.” Around this time he also satellited into the Sunday Brawl on FTP, which he then went on to final table, finishing 7th for $9.8k. “After this, I steadily began to have more success in mid-high stakes MTTs, and finally had a major breakthrough in June of 2009 when I got 4th in the Sunday Warmup on Stars for $43k,” said Tehtoe. In the month that followed he took in a few more 5-figure scores and finally felt like his game had evolved to the high level that he had always hoped it would. Unfortunately Tehtoe went on a steep downswing in August of 2009 until about December that really taught him about variance in MTTs. During that time he only had one major score (winning the FTP $322 6 max for $30k) and managed to brick everything else. “I became a very negative person mentally and really got complacent about my game. I feel the most important aspect of being a successful tournament player is being able to mentally handle the inevitable huge downswings while at the same time being honest to yourself about how you’re playing and be willing to make adjustments to your game,” advised Tehtoe. Once he started focusing in more about what he was doing wrong, he started having success again and have since had quite a few major scores. He amassed one of his best months ever in March with two 3rd place finishes in big 100 rebuy events, as well as a few other final tables and deep runs in majors. Hailing from Chicago, Kurt started playing poker during the Moneymaker era in 2004. After watching some WSOP reruns, he started using his free time to study Texas Hold’em and realized there was some real strategy to it. In the months that followed, Daniel helped launch Poker Mountain. At the same time Kurt’s poker skills were getting better and he had managed to build up a small bankroll. He went on to win a SNG that included Daniel to get into a Bellagio $25K satellite. The tournament drew 133 people and Kurt managed to take it down, earning an all expense paid trip to Las Vegas and a seat at the $25K WPT Championship at the Bellagio. He didn’t fare as well in the main event but it was a trip of a lifetime. A prolific poster at the forums, Kurt is a well respected member of the FCP Community. He’s been here since day 1 and has since had a lot of good memories along the way. Philip Harrison hails from the North East of England and is a well respected member of the FCP Community. He started playing poker with his high school friends in 2004 playing small £5 or £10 SNGs. During this time his friend Ben introduced him to PokerStars. Over the next year and a half they dabbled in play money and both ended up with several million play chips in their accounts. After playing his first live tournament when he was 18, he watched his friend chop it heads up which immediately got him interested in playing for real money. 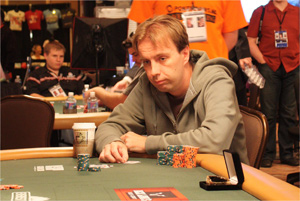 Throughout 2009 Phil took up cash games. He decided to learn Limit Holdem and thanks to some helpful advice from Dinkdonk and others, he improved fast moving from 1/2 to 5/10 in 4 months. 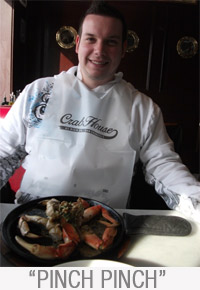 In June, after turning 21 he made his first trip across the pond to Las Vegas for a week to play his first WSOP event. Although he didn’t fare well in the tournament, he met some FCPers for the first time. Phil is planning to spend all of June in a house off the strip in Vegas for the WSOP with people he’s gotten to know over the last 2 years. He’d also like to give a shoutout to donk4life, lurbz, babylondonks, Acekob, AimHigher and Trueace13.